How's that for an attention grabber? 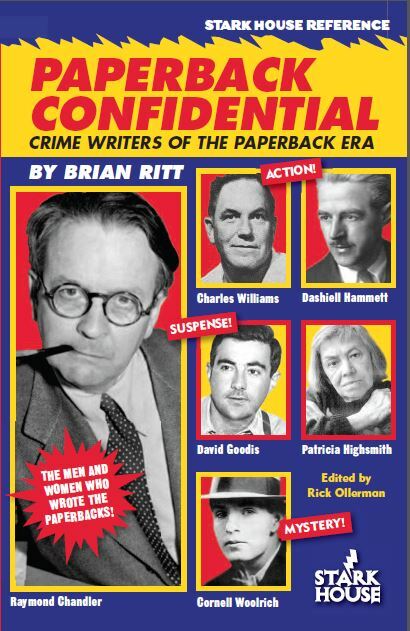 Not only did we complete the work on Brian Ritt's fabulous new Paperback Confidential: Crime Writers of the Paperback Era we moved up the release date in order to debut the book at the Pulpfest 2013 in Columbus on July 25th through 28th. 344 pages of classic crime reference, here you can read about groundbreaking writers of all stripes, from Dashiell Hammett and Raymond Chandler to a one-woman fiction factory like Peggy Gaddis, pulp crossovers like Kendell Foster Crossen (creator of the Green Lama and the alter-ego of hardboiled crime writer M. E. Chaber), and legends still working today (Lawrence Block, Elmore Leonard). PRE-ORDER FOR THE SAME TERMS OUR CRIME CLUB MEMBERS ENJOY FROM NOW UNTIL THE BOOK'S RELEASE IN JULY! Simply reply to this newsletter with your order and we'll ship you Paperback Confidential as soon as it's in from the printer and cover the freight for FREE. Crime Club members need do nothing, they'll get the book shipped as per usual. Bill Crider calls the book "an essential reference for anyone interested in the writers who make reading the old paperbacks so much fun." Gary Lovisi says it's "a must for any fan or collector of crime fiction," and James Reasoner says not only is PC "an essential reference" but "highly entertaining reading in its own right." By the way, books shipped from Stark House will now come in cardboard wrappers to ensure your books will arrive in the best possible condition. So that's a good thing. 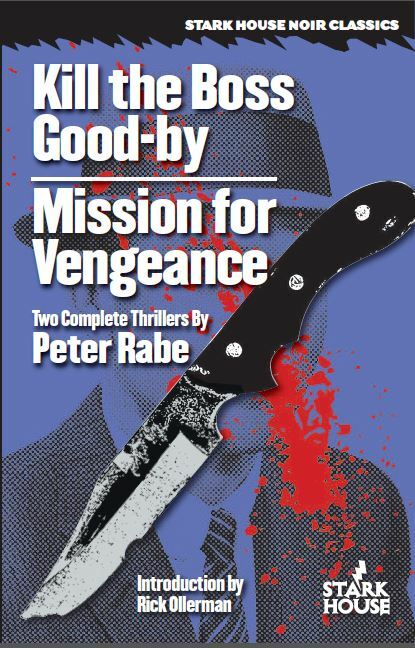 We're also preparing to ship our SEVENTH book by the late great master Peter Rabe, a double volume containing both the classic Kill the Boss Good-by and the somewhat different (for Rabe) Mission for Vengeance. In Jon Breen's Murder Off the Rack, Donald E. Westlake called Kill the Boss Good-by "one of the most purely interesting crime novels ever written." Bookgasm's Bruce Grossman says of Mission for Vengeance: "Rabe then pulls a great reveal in the final pages. I didn’t see it coming until it was all spelled out. For me, that’s the greatest type of thriller to enjoy." In keeping with the idea of a summer sale, instead of one Featured Backlist title, we're offering ALLof our Peter Rabe titles for the same 15% off, free shipping offer for newsletter subscribers until the end of July. Now is the ideal time to round out your Peter Rabe collection with any titles you may have missed--again, just reply to this newsletter and let us know what titles you need. 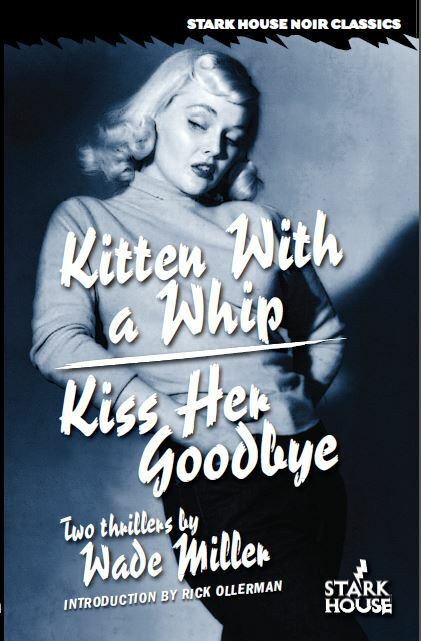 Our second Wade Miller collection, featuring Kitten With a Whip and Kiss Her Goodbye is starting to hit the pre-release cycle. And creeping out is the next Stark House original crime novel, Dana King's wonderful Grind Joint, what Mob-fiction master Charlie Stella calls "wall to wall great writing." What does he mean? 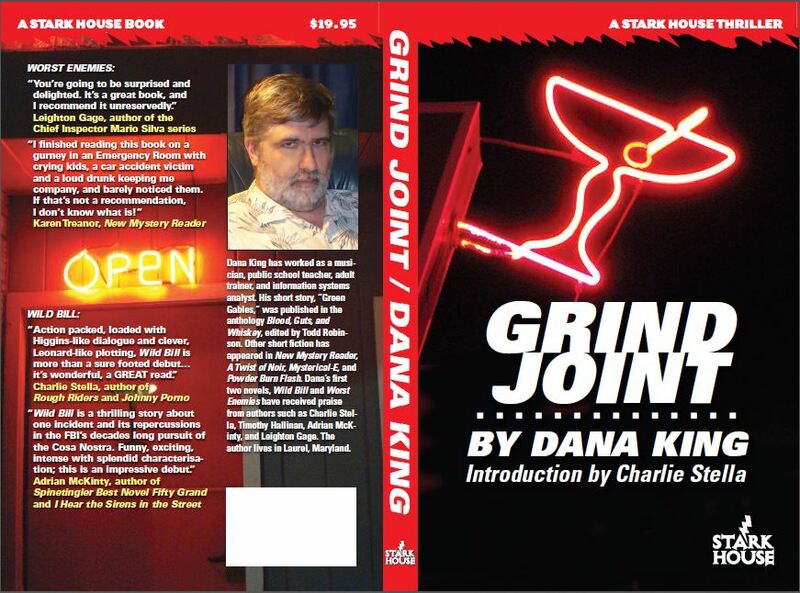 "Dana King’s Grind Joint does for mob fiction what prohibition did for organized crime—it provides the juice for it to flourish in a world consumed with special effects and cartoons..."
Until next time, remember if you wish to get our latest releases still smoking from the printer's presses, you can always sign up for our Crime Book Club and take advantage of discounts and deals on back list titles for new members.